Say you’re driving around on a backroad somewhere and suddenly something in your car breaks. A check engine light comes on. You pull over. You don’t have a toolkit with you. There’s no cell service. Or it was that scary time before cell phones. What then? “I just need to be able to limp it to an actual shop,” you think. And then you get creative. A stick broken off from a tree could work. Or you fill your sock with leaves and stuff it somewhere to hold things together. Chewing gum from your own mouth is suddenly electrical tape. 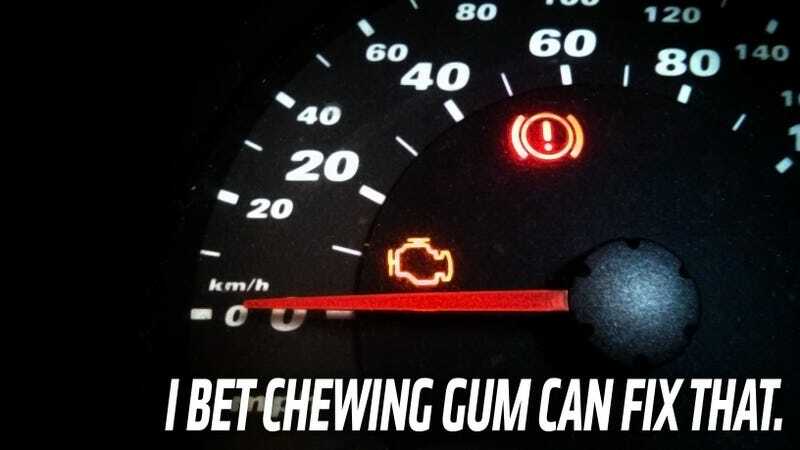 Surely the Reese’s Fast Break wrapper you used to plug a hole in the radiator hose won’t catch fire... in the three miles that you need to drive to find an actual solution. What’s the most desperate fix you’ve ever performed on your car to get it to the closest shop or garage?